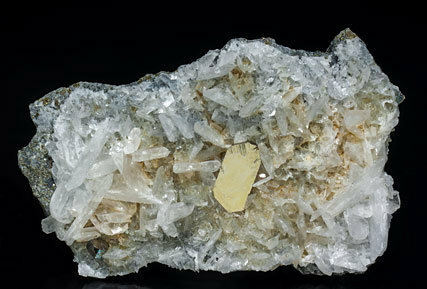 Floater crystal consisting of a complete tabular cyclic twin, very bright and with a considerable size for the species. An excellent Canadian classic whose old label we will send to the buyer. 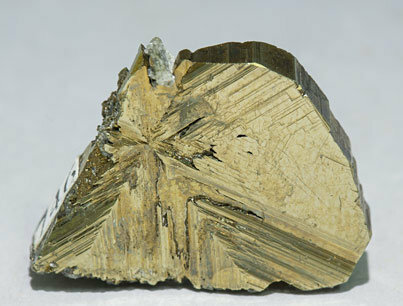 Complete tabular Cubanite crystal with a very sharp twin forming a hexagonal shape, perfectly defined and on a matrix of lenticular Calcite crystals, indicating that the sample has not been acid-treated, so it has preserved its original intense luster.